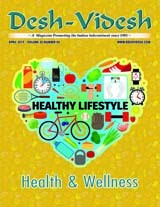 Over 24 years ago, Desh-Videsh began with a simple idea. 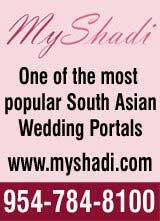 Our team believed in a professional, inclusive magazine for Indians, Pakistanis, and Indo-Caribbeans that would offer insight into our culture and guidance for our youth and focus on the positives of our community. A lot has changed over the years, but those hallmarks resonate as strongly as ever. 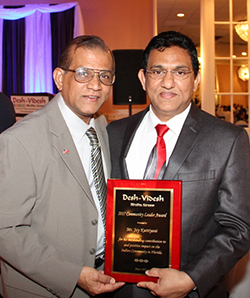 The DVMG Community Leader Awards are a continuation of those principles and represent a celebration of the accomplishments of individuals who embody a passion for and a drive to develop the positives o f their community. Awardees are all active participants in the community helping bring spiritual and cultural guidance for our youth locally as well as giving back to communities in our native countries. Commissioner Dale VC Holness’ political record is well documented in his many years of public service as a Lauderhill City Commissioner & Vice-Mayor (2007, 2010) plus his terms from November 2010 to the present as a Broward County Commissioner for District 9. An avid cricket fan and former cricket player, Commissioner Holness was instrumental in building the cricket stadium in Broward county and bringing all major cricket test matches including India Vs West Indies T20 Match to Broward county. Commissioner Holness supports capitalizing on Broward County’s geographic uniqueness as the “Gateway to the Americas.” He is also a strong advocate for small, minority and women-owned businesses, as well as improving economic development opportunities for all. Lauderhill Chamber of Commerce was founded by Commissioner Holness a few years ago, and now includes over 200 businesses and moneys were collected and donated to the victims of Hurricane Wilma. Commissioner Holness also took the initiative to introduce KAPOW (Kids and the Power of Work) to two local Elementary Schools reaching over 160 students and expanding the possibilities for their future careers, and showing them how success in school can equal success in work, and in life. Dr. Shashi Jagadish is a licensed mental health counselor who has more than 30 years of experience in the field of mental health services. She has provided services in the field of domestic violence intervention, substance abuse treatment and Parenting Skills Training. Due to an overwhelming need, Dr.Jagadish co-founded Sahara of South Florida in 2004 which has helped more than 1100 victims of domestic violence. 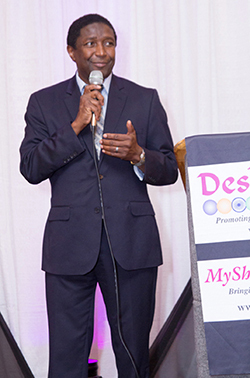 Dr. Jagadish also actively participated in confronting the epidemic of domestic violence to build healthy families by serving on the boards of several community organizations. In recognition of her services, she has been the recipient of several community awards. Sajan Kurian, born in Vasco-da-Gama, Goa, earned a Bachelor’s degree in Business Administration from Madurai Kamaraj University, Chennai. Kurian is a dedicated member of the community on a range of issues and in a variety of capacities. Kurian has become deeply involved in local government and he also serves on a number of multicultural and nonprofit boards. 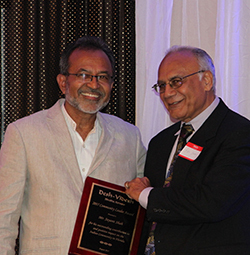 Kurian played an integral role in establishing a memorial site for Mahatma Gandhi in Davie, Florida and serves on the Mahatma Gandhi Square Foundation Board. He also serves as the Coordinator for the Indo-American festival bringing businesses and community together in support of economic development and community strengthening. Kurian lives with his wife, Julie, and their son in South Florida. 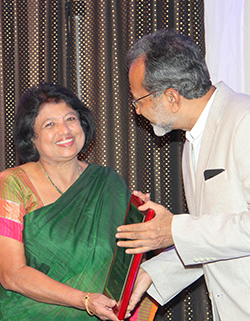 As member of many sociocultural organizations in South Florida, Joy Kuttiyani has been an active and dedicated volunteer for the Indian American community with regards to cultural, political, and humanitarian issues. 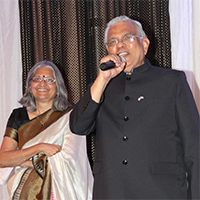 A dedicated member of the Kerala community in South Florida, Kuttiyani serves as the president of Kerala Samajam Arts and Literary Organization of South Florida and the Joint Secretary for the India Press Club of North America. 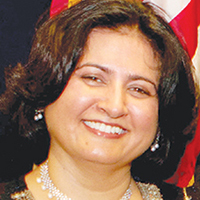 Kuttiyani is active in Florida politics and has campaigned for the current mayor. Kuttiyani played an integral role in unveiling the idea to build a monument to commemorate Mahatma Gandhi at Falcon Lea Park in Davie, Florida. 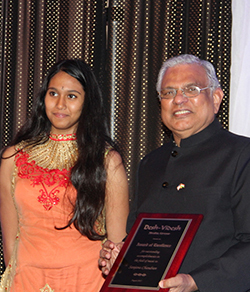 The motivating factor that drives Kuttiyani and pushes him to succeed and reach greater heights is the powerful presence of Mahatma Gandhi in Davie and the principle of nonviolence and peace. To promote these values has been an incredible one of Kuttiyani’s goals. He and his wife, Alisha, an adjunct professor, nursing faculty, Miami Dade College, live in Davie with their daughter, Thangam, a nursing student. Born in Punjab, Pakistan, Khalid Mirza serves his community by promoting peace through volunteerism and community service. Mirza has worked tirelessly in many different healthcare settings, including both inpatient facilities and outpatient clinics. In 1996, he founded Palmetto Subacute Care Center, a five-star rehabilitation care facility. He is also president of Mirza Group, a real estate investment and management company. 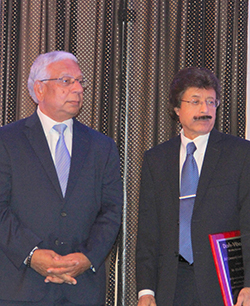 Currently, Mirza serves as Chairman of Muslim Communities Association of South Florida, an organization for which he has spent over 20 years as a Board Member. 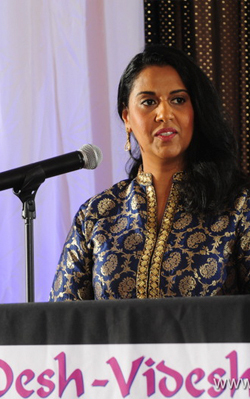 As co-founder of the Coalition of South Florida Muslim Organizations (COSMOS), Mirza is actively involved in interfaith bridge-building and outreach. A member of various healthcare councils in South Florida, Mirza also serves as Vice President of the UHI CommunityCare Clinic in Miami Gardens, which works with the surrounding uninsured and underinsured population to provide free care. Mirza was also a member and President of the Alzheimer’s Association of Greater Miami. Mirza lives in South Florida with his wife, Diana, whom he credits for influencing his day-to-day life and for her unwavering support and dedication. 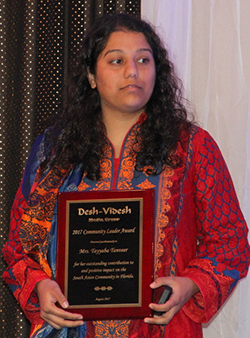 Born in New Delhi, India, Abha Narang is an active volunteer who works with a wide range of organizations in the community like Ekal Vidyalaya, Vishwa Hindu Parishad of America, HSS, Param Shakti Peeth, Hindu American Foundation, South Florida Hindu Temple, Broward Outreach and Jubilee Pantry. From teaching Hindi at the South Florida Hindu Temple and hosting HSS camps in her backyard to volunteering at her daughters’ schools, Narang is no stranger to working with children and parents alike. 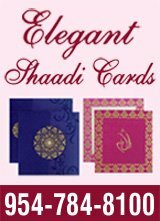 Narang’s own grandmothers and mother along with her husband have been a driving force in her life. She hopes to her own behavior and actions will set a standard for her daughters to carry with them throughout life. Narang now lives in South Florida with her husband, Vijay. She has two daughters, Urvi and Neha. 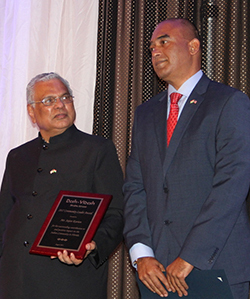 Born and raised in Africa, Jitendra Patel – lovingly known as Jitubhai – has been a pillar of the South Florida Indian community for over 30 years. Since 1988, Jitubhai has worked with various organizations to help spread the message of Hinduism. With the grace of his guru, Pramukh Swami Maharaj, Jitubhai played an instrumental role in establishing the BAPS Shri Swaminarayan Satsang in South Florida. Today, people of all ages can enjoy the peace, serenity, and spirituality found at the beautiful BAPS Shri Swaminarayan Mandir in Boynton Beach, Florida. Jitubhai lives with his wife Sarita in Plantation. He has one son, Kushal, and one daughter, Devi. 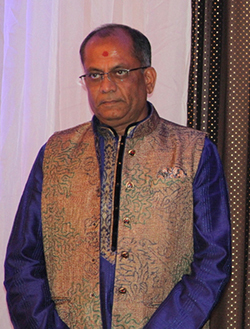 Born in North Gujarat, India, Jayant (Jayu) C. Shah is the founder and president of Hi-Tech Import Export Corporation. Even as a young man in India, Shah was an active volunteer. Here in the United States, Shah is a member of the IRCC (India Religious & Cultural Center), and later served as its president. He is also an active member of the Jain Center, where he has served as president, board chair and chair of the Prathistha celebration. Through all of his community involvement, Jayu developed this personal motto: FCC – Flexibility + Cooperation + Compromise = Success and Unity. Everything he does is with full energy and commitment. Shah and his wife Rajul currently reside in South Florida. They have two children. Daughter Nisha became a Registered Nurse, married and blessed them with three grandchildren, Phillip, Eva and Natasha. Son Satu Shah is now a doctor. Tayyaba Tanveer was a social worker who aided the international community for over 27 years through her work in Pakistan, Canada, and the United States. After earning a Master’s in Education and Social Work, Tanveer began her career at the UNHCR (United Nations High Commission for Refugees) as a women’s program officer for a Domestic Violence prevention project in Pakistan. Beginning 2011, Tanveer became involved with Sahara of South Florida and the NUR Center since 2011, where she provided much needed aid and counsel to victims of domestic violence in our local South Florida Community. Tanveer was passionate about women’s rights and spent her life advocating for underprivileged women to get equal human rights. As a human services professional, she was committed to aiding victims, as well as to educating to bring social change to end domestic violence. Tayyaba was a resident of Plantation under her sudden and untimely death in April 2017. She is survived by her three children. Sanjana has been learning Indian Classical Music on the violin from her father, Mr. Sanjay Chandran, for the past eight years. She has secured top honors at several leading music competitions organized by the Cleveland Aradhana, Carnatic Music Association of North America (CMANA) etc. She is the recipient of the IndianRaga Fellowship for 2015. She is also an avid composer and her original music composition was selected to represent Palm Beach County at the Florida state level in Reflections, a national arts education program. Sanjana has given full fledged concerts in Ft. Lauderdale, FL and Phoenix, AZ. Most recently, she was invited to perform a concert in Iowa City, IA, sponsored by the Iowa Arts Council. In addition, she has conducted workshops on Indian Classical Music in several public schools and universities in South Florida and Iowa. She also learns western classical music on the violin from Mr. Gustavo Correa and Bharatanatyam from Mrs. Priya Nagaraj. Starting this Fall, she will be attending Florida Atlantic University High School and hopes to pursue a career in medicine. Besides music and dance, she also loves gymnastics and basketball.